Rather than blame the foster care system, Rob Scheer and his family are working to change it. WASHINGTON, D.C., USA — The Scheer family encapsulates the definition of diverse. They are a family of six. 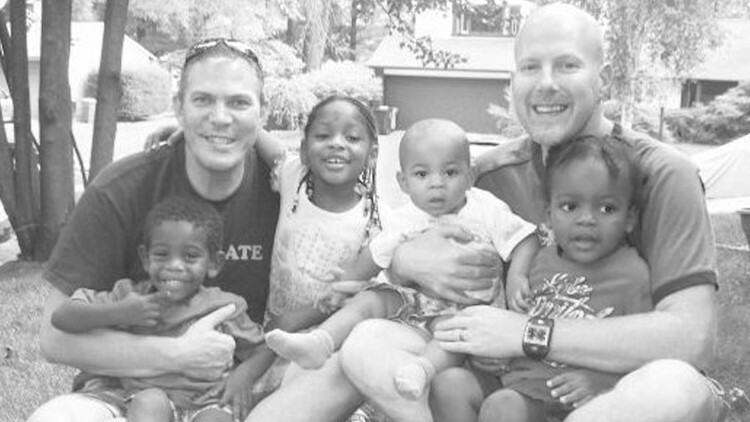 Four African American children being raised by Rob Scheer and his husband, Reece. Despite their difference in appearance, Rob can relate to his children in a way that most parents cannot. He understands the abuse and neglect they faced before joining his family because, he too, endured it. “I just knew I wanted to be different… that I wanted to be the dad I never had,” Rob said. With just the scent of lingering cigarette smoke, Rob is instantaneously back to childhood. Memories overcome him of his father and the pain he inflicted putting cigarettes out on Rob and his six siblings’ legs. While childhood is often recalled as a time of play and imagination, Rob remembers his parents providing entertainment by holding an unloaded gun to his head and laughing as they pulled the trigger. Then, his parents passed away. “To me, it was the greatest gift that ever happened,” Rob said. Rob and his siblings were separated and put into the foster care system. That was the start of a difficult journey. Rob was faced with another challenge when he turned 18. No longer eligible for foster care, he became homeless. He used a trash bag to carry his belongings and relied on rummaging for food scraps and the library as a safe haven to endure each day. The saddest day of Rob’s life was his high school graduation, for he no longer had a sanctuary for eight hours a day. He had to figure out a way to survive. “I joined the military because I was cold, I was hungry, I was scared,” Rob said. When Rob arrived in his room, it was the first day he felt a sense of safety in his life. He threw away the trash bag he had carried his belongings in and promised to never look back on his life before that moment. Yet his unlucky hand hadn’t been fully dealt. After graduating top of his class from boot camp, Rob woke up in the hospital. His bladder had ruptured because as a little boy, Rob’s father would threaten to beat him if he used the restroom. 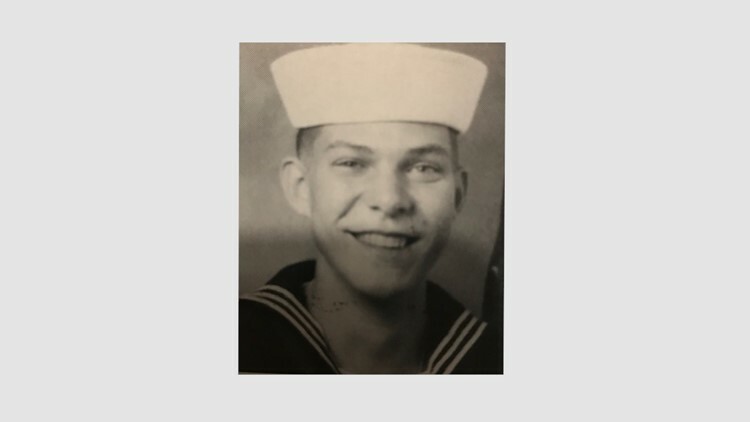 After the Navy provided medical care, they discharged Rob. He was a medical risk. Out of options, Rob returned to a familiar scene – the library he relied on during high school. Rob lied out of survival. He admitted he would do anything to avoid becoming homeless again. He worked hard, long hours to ensure his future. Rob buried his childhood deep within. It was never discussed until he met his future husband, Reece. To Rob, Reece is the rock of their family. As a college graduate raised by two loving parents in the Midwest, Reece’s background was worlds away from Rob’s. Yet it took the loving, kind man to create the life he and Rob share today. “[Reece] used to say to me all the time, ‘You should be proud of your story,’” Rob said. After four years together, Rob and Reece decided they wanted to start a family. Rob began looking into international adoption. But Reece was baffled as to why they weren’t adopting a child out of foster care. Rob’s answer was simple: they don’t discuss that – or anything that close to Rob’s past. “He said, ‘Maybe that’s the problem. Maybe it’s the problem that you haven’t spoke about it for all these years.’ I will tell you that was my first ‘aha’ moment,” Rob said. Those few words launched a path towards healing and a family for Rob. Eventually, he and Reece decided to foster to adopt a child. They put in an application for one child under the age of five. Then, the phone rang. “[The social services worker] said, ‘I know you only wanted one child, but I have a sibling group. A little boy and his sister who are in desperate need of a home," recalled Rob. With the click of the receiver, Amaya and Makai joined the Scheer family. On their first day in the Scheer household, Amaya was the saddest little girl Rob had ever seen. Despite a day of games, adventures and a trip to the toy store, Amaya had yet to smile. It wasn’t until after her nightly bath that she found a variety of brand-new nightgowns lying on the bed. She picked one up, tore the tag off and beamed. “She said, ‘Mr. Rob, I’ve never owned a new nightgown before,’” said Rob. The moment reminded Rob of his childhood and the trash bag he once carried his things in. Shortly after Amaya and Makai settled into their home, Rob and Reece were contacted by social services asking if they’d be willing to foster Greyson and Tristan, two other young brothers. They knew they couldn’t say no. Within a matter of months, Rob and Reece had gone from no kids to four. Their home and hearts were full – particularly after multiple years and lengthy legalities led them to officially adopt their four children. The neglect his children had suffered during their childhood was something Rob could relate to, particularly the lack of care when children entered the foster care system. “Most people do not realize the majority of kids who enter the system enter with the shirt on their back. They enter in the back of a police cruiser because they’ve been taken out of an abusive or neglected situation. They come into a system and they’re given a trash bag to carry their torn and tattered belongings to their first placement," Rob said. The fact that a trash bag hadn’t been replaced between his time in the foster care system, to the next generation of his children was unfathomable to Rob. Rather than blame the foster care system, Rob and Reece set out to change it. With the help of their children, they began brainstorming what would be helpful to children coming into the system. To everyone, it all went back to the trash bag. They began making cases filled with items for each child -- items like their own pajamas, toothbrush, coloring book, journal and soap. “When we were making our [items] list Grayson said, ‘Daddy we must put a blanket in the case.’ I said, ‘A blanket? They’re not cold.’ And he said, ‘No Daddy. Every single time they wrap themselves in their blanket, they know we love them,'" said Rob. To Rob, his son’s idea of a blanket was symbolic for his entire upbringing. “That’s what we all want. To be loved. To feel loved. To feel wanted," said Rob. The Scheer family’s cases have now transformed into the non-profit Comfort Cases. The cases have been delivered to more than 44,000 children in foster care throughout the United States. Rob hopes that people can hear his story of overcoming adversity and be proud of who they are and where they came from. While his journey has been one of transformation, he credits his children for teaching him the meaning of true love.